These foods bring together flavors in such an unexpected way that you may never wanna see them apart again. 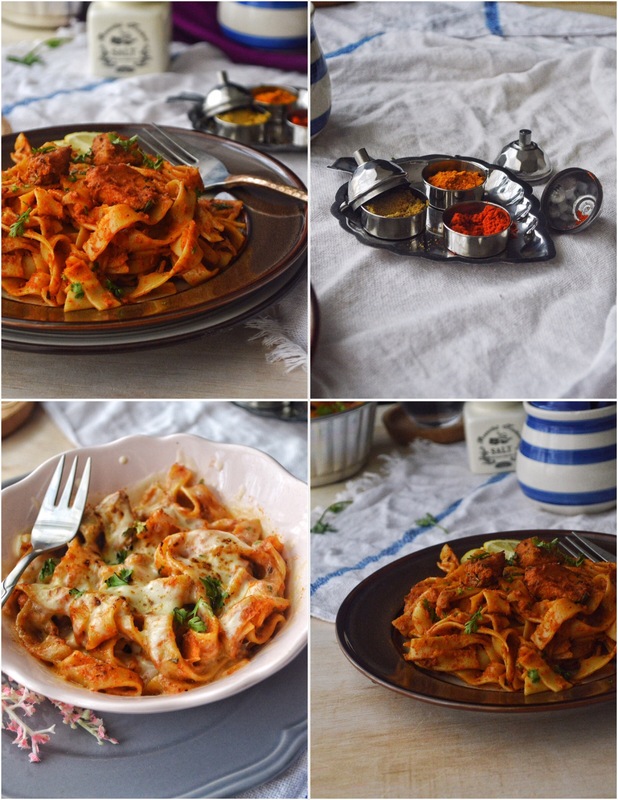 This pasta has got the strong Indian flavors from the the signature Indian spices like the chilli, coriander, garam masala, cumin and turmeric powders. You can eat it as such without adding cheese, but lemme tell you, it tastes really really awesome when baked with cheese. 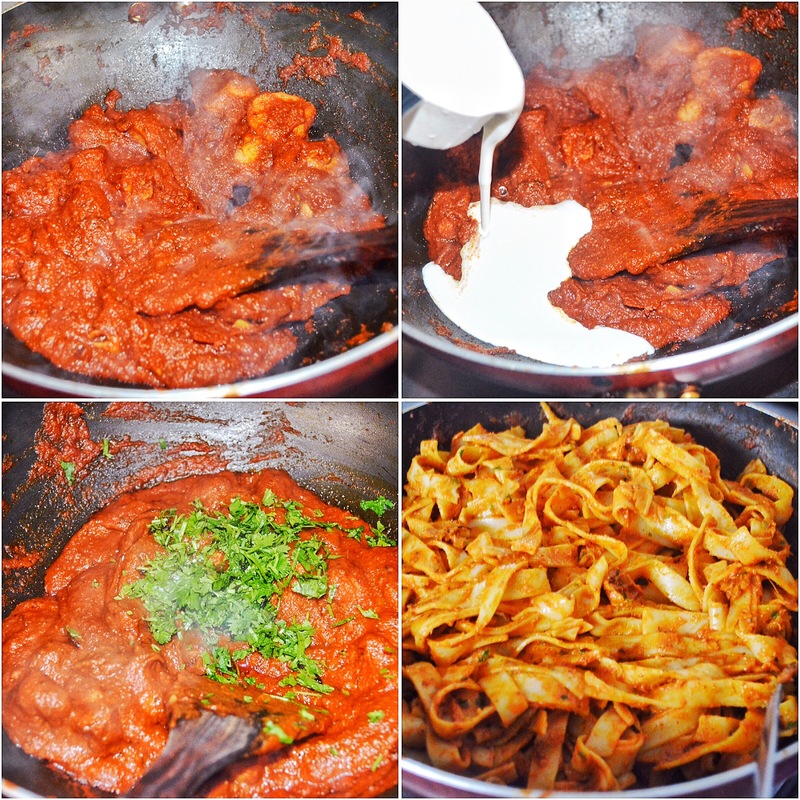 ✔️ The tikka masala gravy should be very thick, only then it will coat well on the pasta. ✔️ The pasta can be eaten as such without cheese, but i preferred it when baked with the cheese. Grind the ginger and garlic along with 3 tbsp oil till smooth. 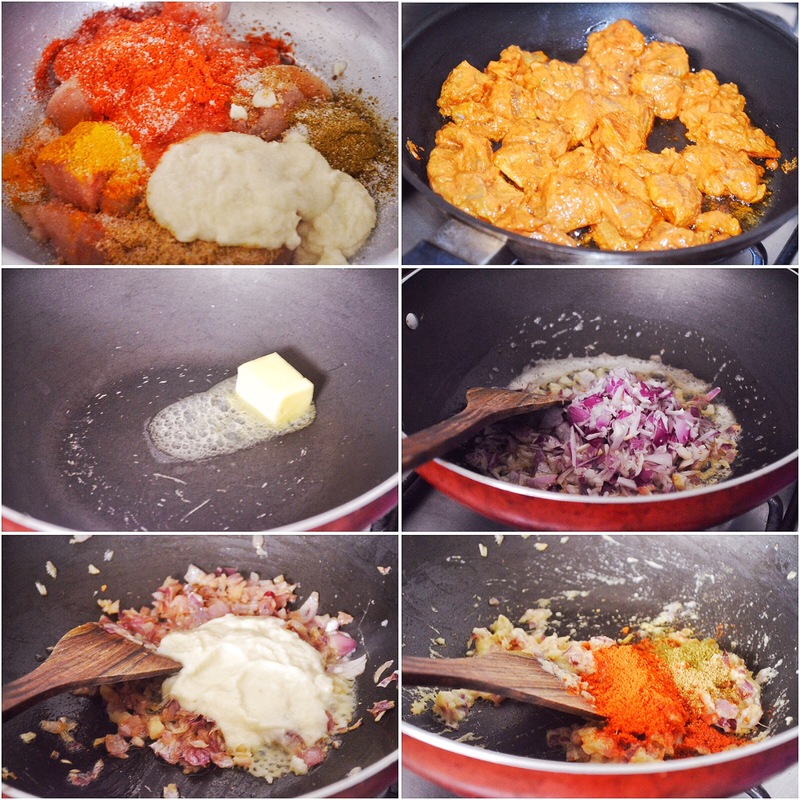 Combine all the ingredients listed under marination along with the ginger garlic paste in a bowl. Add in the chicken and mix well. Let it stand for 2 hours or overnight. Grill the chicken either in the oven or in a pan. Cook the fettuccine according to package directions. Add in a tsp of olive oil to the pasta while cookingto avoid it from sticking to one another. Heat butter in a pan. To that add in the chopped onions.Sauté till it turns soft and golden brown in colour on low flame. Puree the tomatoes. Keep aside. Make a paste out of the ginger and garlic. Add the paste to the onions. Sauté for 2 minutes. 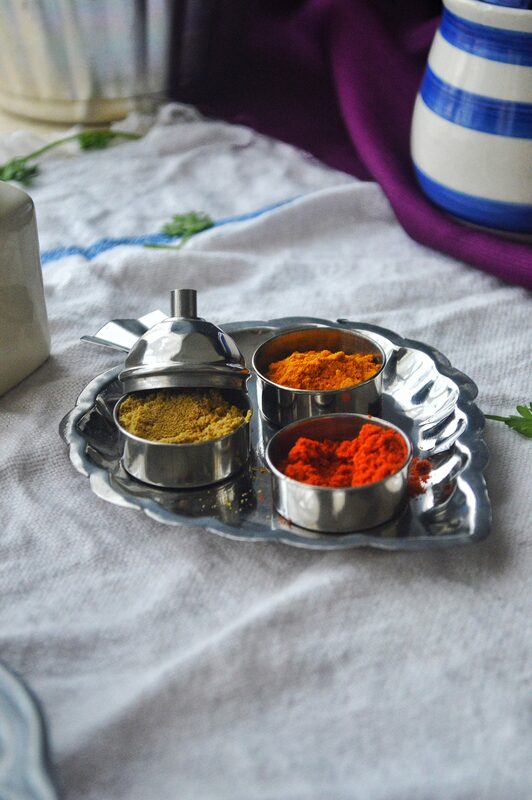 On low flame, add in the red chilli, coriander, turmeric, cumin, and garam masala powder. Mix well. Stir for 2minutes. Pour the pureed tomatoes and add tomato paste. Mix. Let it cook for about 10 minutes till the oil separates out. Add in a tbsp more of butter to this. Turn off heat, and let the mixture cool. Blend it till you get smooth paste like gravy. Pour it back to the pan. Heat. Add in the grilled chicken. Add kasuri methi. Cover the pan with a lid and let it simmer on low for about 15 minutes. Open the lid and stir on high flame till the gravy turns dry. The gravy should be thick, so that it will coat very well on the pasta. Once the gravy is dry, add the cream. Let it come to a boil. Switch off the flame and garnish with coriander leaves. 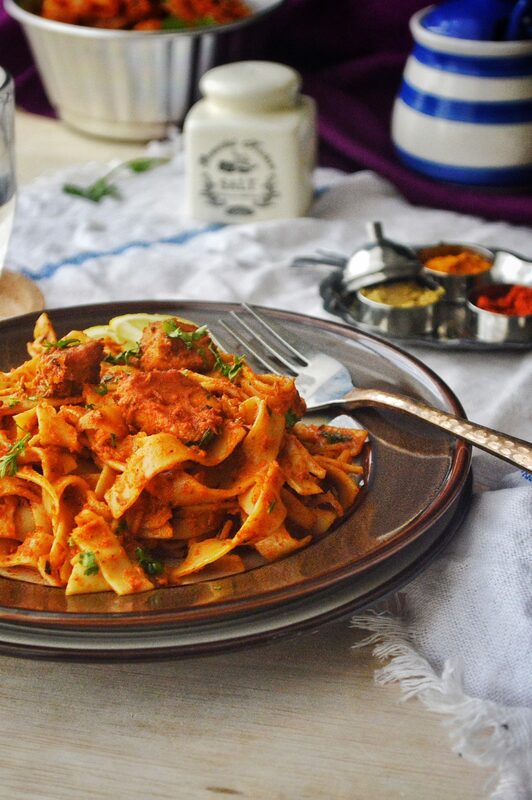 Combine the pasta and tikka masala till all the gravy is coated well on the pasta. 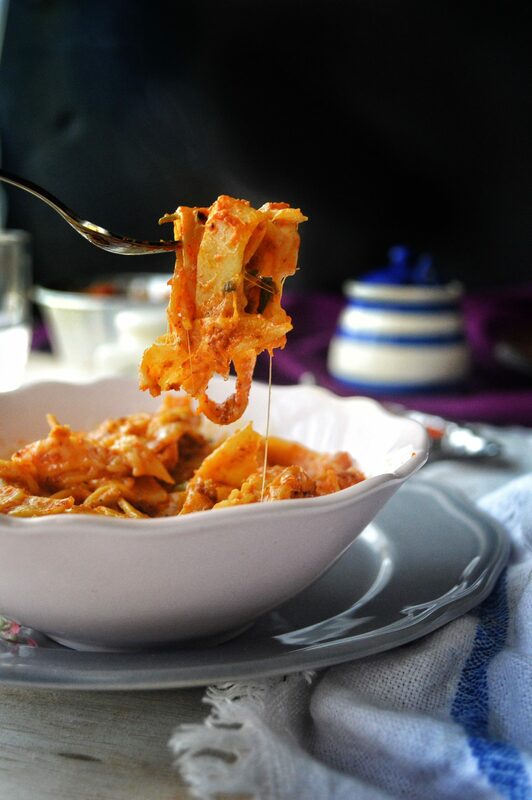 Transfer the pasta into a baking dish and spread mozzarella cheese on top. Broil and let the cheese melt. Serve immediately. 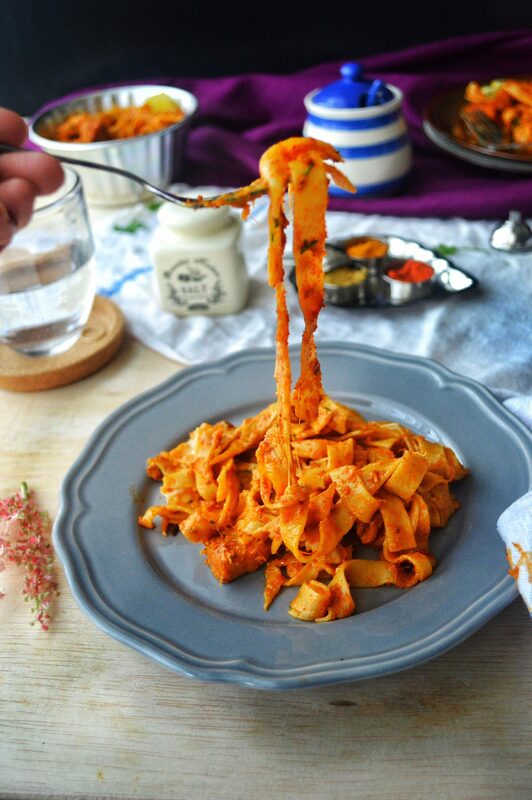 Pasta with the traditional indian chicken tikka masala sauce. 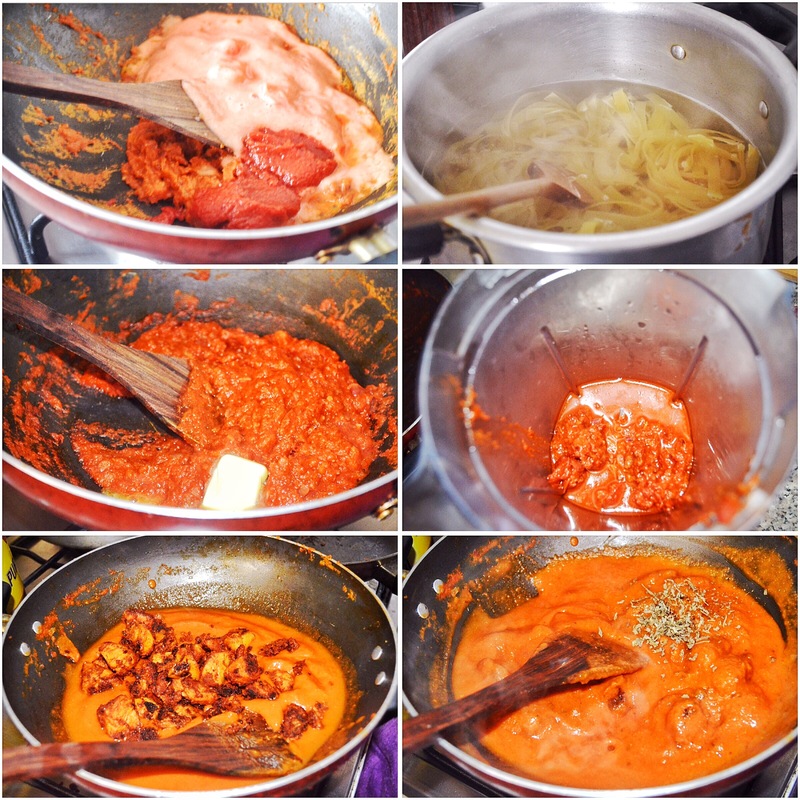 * The tikka masala gravy should be very thick, only then it will coat well on the pasta. 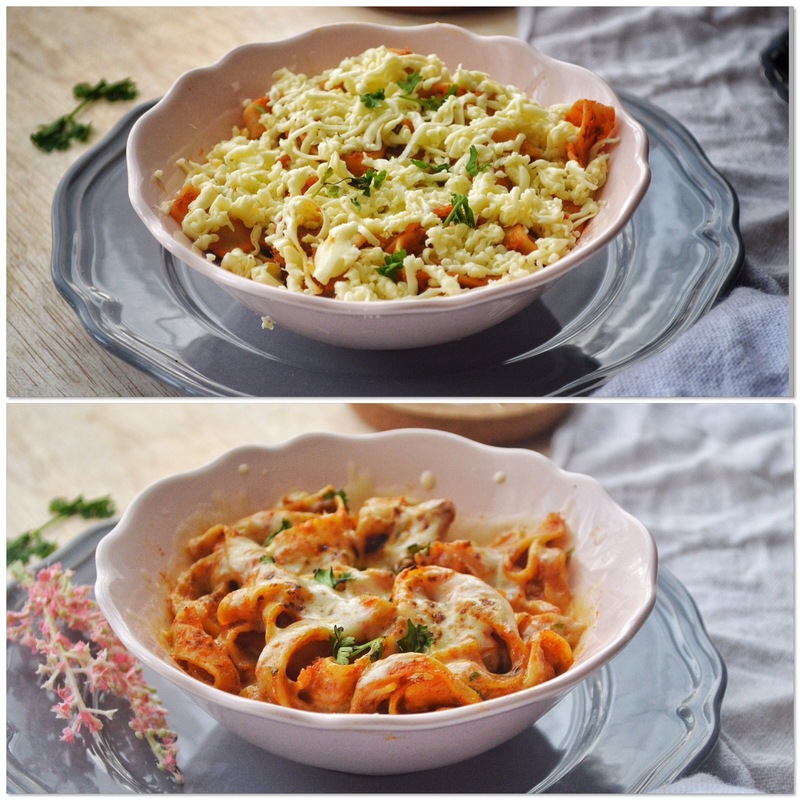 * The pasta can be eaten as such without cheese, but i preferred it when baked with the cheese. Thanks for writing. Hope you like it, let me know please. 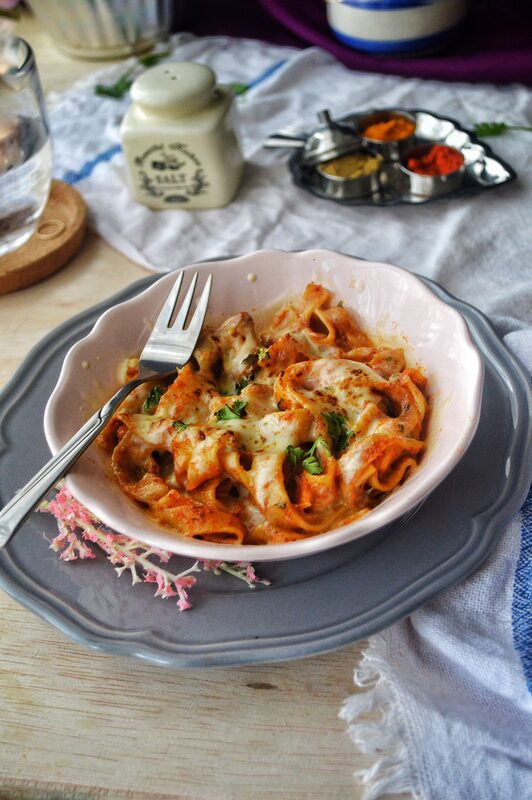 Tried this pasta (without cream) and it was super yummy 🙂 Will definitely be making this again.. Thank you so much for trying. Really happy that you liked it Dhivya. Puree d tomato u mean boiling dem n den blend or just blending? You have to puree the tomato without cooking and then add to the sauteed onions. Hope you and your family like it. Made it without cream n baking…n v loved it…! !